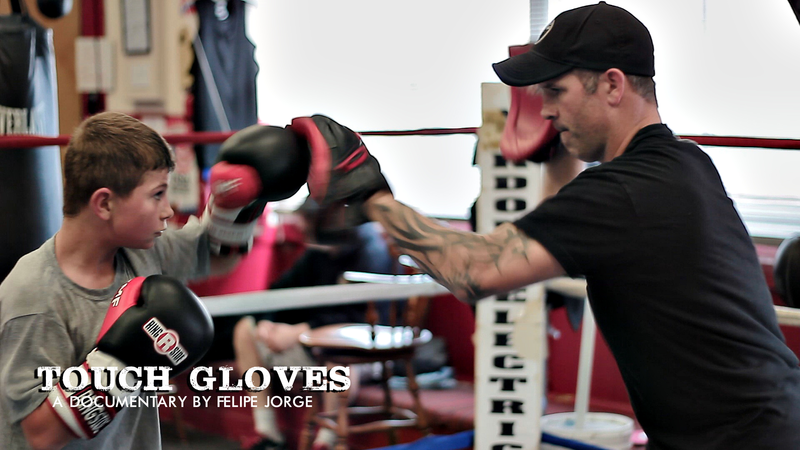 Director Felipe Jorge and Haymaker Films’ boxing documentary, Touch Gloves, held me in its captivating grasp for every second of its brief, but effective, seventy-four minute runtime. Recorded from May 2015 until May 2016, the work is intimate yet, wide-ranging and ambitious. All of this is much in line with the tradition of the best documentary features. Yet, amid the loss and triumph, personal stories, closed door interviews, training and matches that we encounter throughout: the passion which resonates from all those involved on-screen is visible. It is also undoubtedly infectious. Moreover, it is ultimately inspiring. This masterful, insightful composition absorbs us with the real-life pursuit of dreams radiating through it all. In the end, it lifts our spirits. This is in a way only the most tremendous movies can do. Furthermore, it satisfies our soul. The images evoked herein pushes us to be the individual we personally would like to be. Such makes this mandatory viewing. This is for, not only athletes, but dreamers of all ages. This no budget production concerns a gym which stays open via fundraisers and donations. It is in Jorge’s Massachusetts hometown. The place goes by the name of Haverhill Downtown Boxing. The piece follows the man who runs the building, Ray Hebert. The endeavor also introduces us to a group of charismatic sports related hopefuls. They are a mix of both male and female participants. These wide-eyed, optimistic locals Herbert helps guide to greatness in the ring. One of those folks is as young as eleven years old. His name is Andrew. The enactment also focuses on the personal plights of other, comparatively older talents. These are Eddie Rozon, Brendon Simoes and Duncan McNeil. 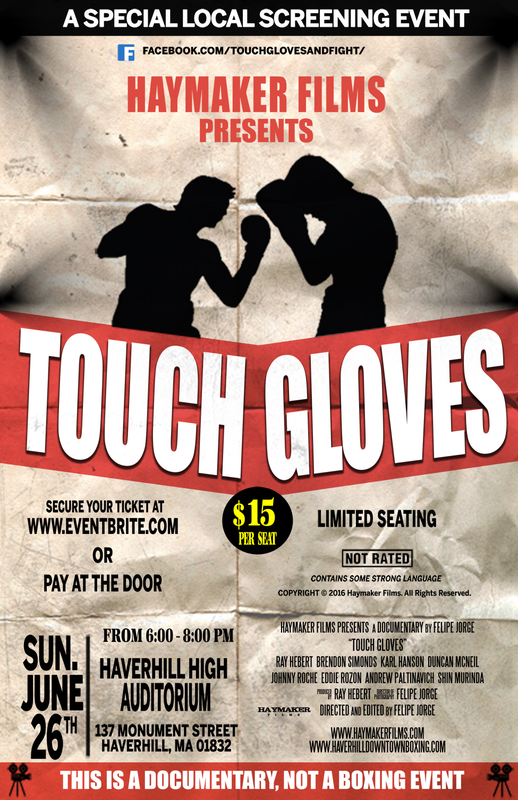 They all aspire to fight in the statewide Golden Gloves tournament. The segments dedicated to this competitive event offer some of the most breathtaking instances herein. They illustrate numerous semi-climactic moments of rousing emotional intensity. Such occurs as we watch those we feel as if we were taught alongside. This is courtesy of Jorge’s unflinching cinematic vision. The undertaking becomes all the more illuminating thanks to his competent directorial hand. 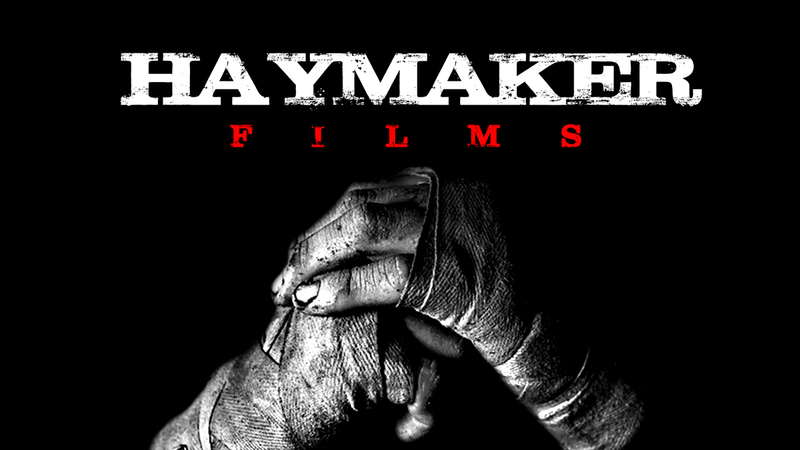 Chris Esper, who shot supplemental footage for a fight that took place on September 18th of 2015, also offers a terrific contribution in this department. Their respective styles complement one another seamlessly. Together they heighten the impact of the exertion spectacularly. Jorge, who acts as a one man crew here, utilizes editing which is beautifully executed. He incorporates a pace for the material that is natural and quick. Still, it is never rushed. Best of all: it keeps our interest sharply piqued through the duration. Additionally, there is not a single scene which can be seen as excessive or unnecessary. Every frame directly enhances the narrative as well. This can also be said of the various perspectives sewn into its fabric. He also provides cinematography that is darkly gorgeous. It is rugged and absolutely perfect for the material. This quality stunningly calls to mind the gleam of similar classics such as Rocky(1976). In many ways it is much on par with the aforementioned effort. This is in that it is also destined to be a classic. One which audiences will turn to for motivation many years into the future. The music, delivered by http://www.freemusic.org, is every bit as empowering as the sights which accompany them. An end credits section which uses a personal favorite track of mine, “Momma Said Knock You Out” from LL Cool J’s same titled 1990 album, is especially smirk-inducing. It is an excellent bookend to the instantly fascinating commencing sequence. This phenomenal bit pans mesmerizingly through a collection of articles. These delve into the history of Haverhill Downtown Boxing. Touch Gloves is one of the most exhilarating, ardent and credible, entries of its type I have seen. It is a sincere portrait of the human spirit. Additionally, it concerns one of the many heroes who habitually guides those the story revolves around to unveil their most fulfilling path. The enterprise as a whole is traditionally formalized. Yet, the endurance of the approach is more than fitting. It goes hand-in-hand with the frequent issues and themes derived from the subject matter. This is done terrifically well. Such is one of the many longstanding attributes mechanizing within this rousing attempt. These components make it all too easy to see the picture playing as a staple on channels like ESPN or one of its television alternatives. This is also undeniable proof that Jorge has crafted an exceptional labor of love. It is one that spectators will be more than happy to pass down from generation to generation.